I’m a massive music fan and buy CDs and vinyl obsessively! In fact my collection has grown so big I have been politely forced (by the lovely Heloise) to store my vinyl in the local Safestore! This next example is rare, but, it did happen and this potential result should get your juices going for trading memorabilia. In America baseball picture cards are big business, collectors virtually kill each other for the ‘rarities’ that are out there. A guy bought a whole load of junk at a garage sale and amongst some baseball cards was the ‘Holy Grail’ of cards –the 1909 Honus Wagner tobacco card worth $2.35 million! So for a few dollars outlay he ‘accidentally’ became a millionaire. So don’t you think that for almost any CD or record that you have lying around at home there will be a buyer out there? Of course there will! I personally, turnover over £25,000 a year from this type of memorabilia alone. My customers are happy and they keep coming back for more. Don’t misunderstand me, I’m not just referring to music rarities, people will buy the latest Amy Winehouse CD as well as rare and collectable items. That’s why you have a huge market of buyers. There’s a lot of nonsense spoken about the future of CDs. They are very much alive and well. The iPod is king right now but CDs are actually becoming MORE collectable today as a result of it! Vinyl records are one of the ‘Hottest’ markets on eBay and with the ceasing of cassette tape manufacturing, the ones you probably have lying around in an old box somewhere are worth money right now. You can source CDs, DVDs and vinyl records from a whole host of places: charity shops, car boot sales, eBay for job lots at knockdown prices, record and tape shops, friends and family’s items, auctions, house clearances, even the bargain bins at supermarkets! The only hard and fast rule that you need to follow is that the items that you sell must be in good condition; broken and chipped vinyl records or scratched CDs are worthless. Always sell items that you would be happy to buy in terms of quality. Now let’s think of ways that you could ‘repackage’ music memorabilia – you could frame items very cheaply and sell them at a premium. This is something I’ve been doing for some time with 7-inch vinyl records. One of my re-packaged record products is hanging on the wall of a CEO’s office in one of Britain’s biggest companies. Memorabilia sells to all types of people from all walks of life. ‘Repackaging’ is a great way that you can make a bog standard record or CD more desirable. As I mentioned already, with a bit of imagination anything can be turned into a ‘hot’ product. You can soak records in water and slide the labels off for example, use some kitchen roll to lay the damp labels on and press them in between heavy books. You’ll get a flat dry label or labels and you can mount them for framing very simply using some card from an stationery shop or art shop and hey presto you find a frame, photograph it and you have something to sell that enthusiasts and collectors will be interested in buying. Don’t rush it either, the more professional you can make your creation look the better. Montages of labels look great and are a nice piece of nostalgia that people will be interested in. You can do this with CDs, concert tickets, artist laminates (which you can source on eBay for very small sums of money). Often sticking to one band or artist with these types of self-made products will attract more interest. Sort your newly acquired records into famous artists and big hits as these will generate more interest and get any buyer misty eyed about their youth or the first record that they ever bought. To check whether a record was a hit or not and to gauge the potential for repackaging, the perfect resource is The Guinness Book Of British Hit Singles. Get a copy. Every 7-inch record ever to chart in the ‘Hit Parade’ is in there and it’s a great way to sort out the good stuff from the bad. List all your unwanted items on eBay as a job lot, you will sell them – probably not for much but it puts more money into your pot to get on with the real business of repackaging the popular records to sell. Firstly, vinyl records in plain paper sleeves. Some of the singles released in the 60s and 70s had record company logos on these sleeves. It doesn’t really matter as unless the record is a rare gem and worth good money you might as well throw the sleeves away. Clean the record with distilled water and dry to a shine with a duster. Don’t worry about small scratches as once framed they will be barely visible. 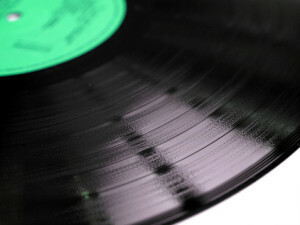 If a record is severely damaged don’t buy it, destroy any that you get in any job lots, as they are useless for resale. The next thing to do is go out and buy some frames. This is not easy as the frames need to be a couple of centimetres bigger than a 7-inch vinyl record otherwise it won’t fit in the frame. I do not know of any shops that sell the correct size of frames for record framing. The good news is that it’s not too hard to find a company who will manufacture frames in surprisingly small amounts and pretty cheaply. I recommend a black frame surround and regular glass; non-reflective glass is more expensive.